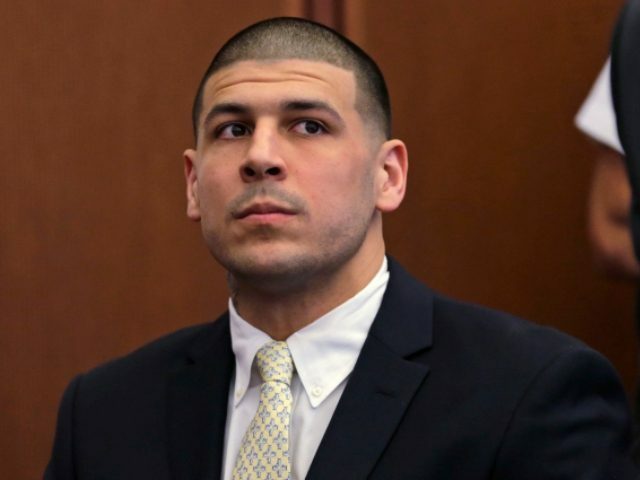 A new report claims that former NFL star and convicted killer Aaron Hernandez, hid a longtime homosexual relationship with his high school quarterback. According to a report in the Boston Globe, former Bristol Central High School quarterback Dennis SanSoucie claims that he and the New England Patriots tight end engaged in a sexual relationship for years in and around their high school years. The paper also claims that Hernandez withstood abuse from his father who tried to beat a “feminine way” out of his son. The player’s brother also noted that Aaron told him that he was sexually molested when he was a kid, but Jonathan did not go into details in the interview. The one-time NFL player was convicted of murder in 2015 and was about to undergo a second trial for murder when he committed suicide in a Massachusetts prison in April of 2017.